You read that right. We promised that you’ll get the chance to learn from the best in the industry and we’ll do everything in our power to keep our promise. Learn Squared team is coming to IFCC 2016 to show you the whole new world. 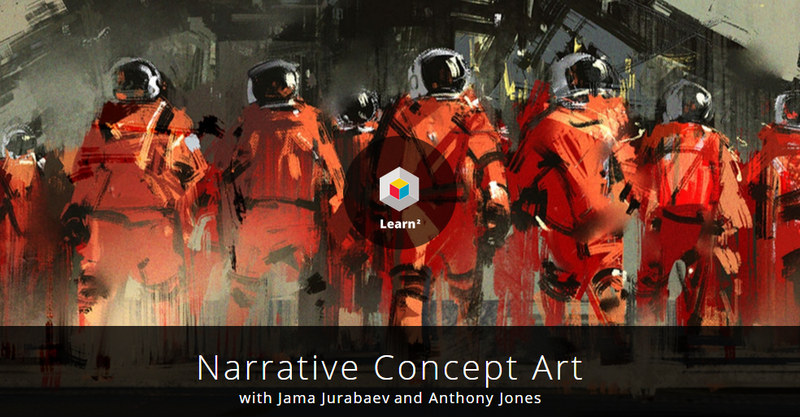 To be more precise, Jama Jurabaev and Anthony Jones have already confirmed their presence while we’re still waiting for Maciej Kuciara to do the same.So what is so different with Learn Squared? First of all some top artists are running it. Second, they have really unique approach to their class. Read this quote from their website: “Learn innovative techniques as one industry-leading artist teaches another from a completely different field. You receive the same tutorials, the same information, and the same guidance. Our goal is not only to teach what we’ve learned, but to demonstrate and share how we learn. You can follow our journey, or you can start your own.”. Education for artists changes day by day, just like technology does. It was never so easy to find resources that can help you become better at what you want to, but at the same time it is really hard to pick the right workshop or course. Learn Squared is definitely the right choice for anyone interested joining entertainment industry. It is also very affordable, which is important for those who still don’t have regular incomes. It was very important for us to incorporate Learn Squared into festival’s educational program. Don’t miss this unique chance to learn from Learn Squared crew live at IFCC 2016. You’ll have a chance to ask questions and have your portfolio reviewed. You’ll have a chance to become better artist.